Friday was a day of unspeakable tragedy, loss and heartache. We are grieving along with the rest of the world and we have held our loved ones a little bit…ok…A LOT…closer. It can sound trite to say that we are praying for those who’ve lost, but we truly are. Our mothers hearts ache. There are some bloggers who’ve chosen to have this be a day of silence and we respect that. But, we’ve chosen something different today. We’ve chosen to share what or rather WHO can bring light into the darkness, comfort to the grieving, peace to the hurting. 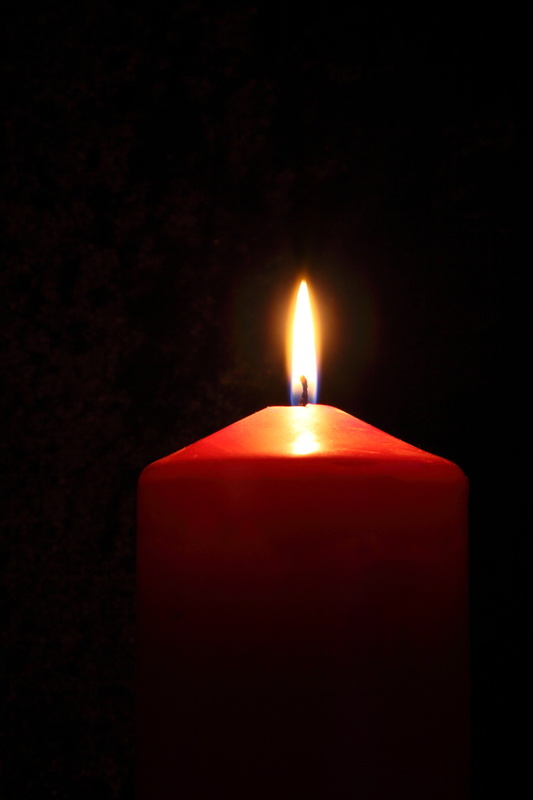 In my family, celebrating advent has become a beloved tradition. And last year I added to this tradition by putting a twist on things and doing an advent mantel rather than an advent wreath. I’ve done the same thing this year with the very special addition of an ‘O Holy Night’ mirror. In the midst of sorrow and suffering, “the weary world rejoices” at the arrival of a Savior. 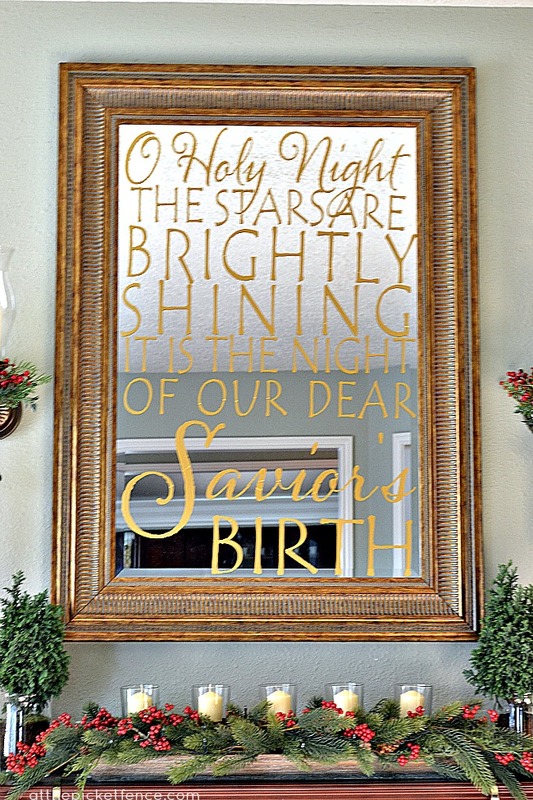 I purchased this incredible vinyl ‘O Holy Night’ decal from our Sponsor Leen the Graphics Queen. She was able to customize it to the size of my mirror and I kind of squealed a bit when I got the first letters on and realized how much I was going to love it! On the mantel itself, I placed a wooden tray candle holder with 5 candles perfect for marking each Sunday of advent leading up to Christmas as well as Christmas Eve. Greenery and berries help to fill it in and I also wove in a strand of battery powered lights. Each Sunday evening, we gather in the family room together and read from an advent devotional our church provides and often add a children’s book or story to help our children understand why we celebrate this holy season. Then we light the appropriate number of candles and just relish the moment of peace in the midst of what is such a busy time of year. 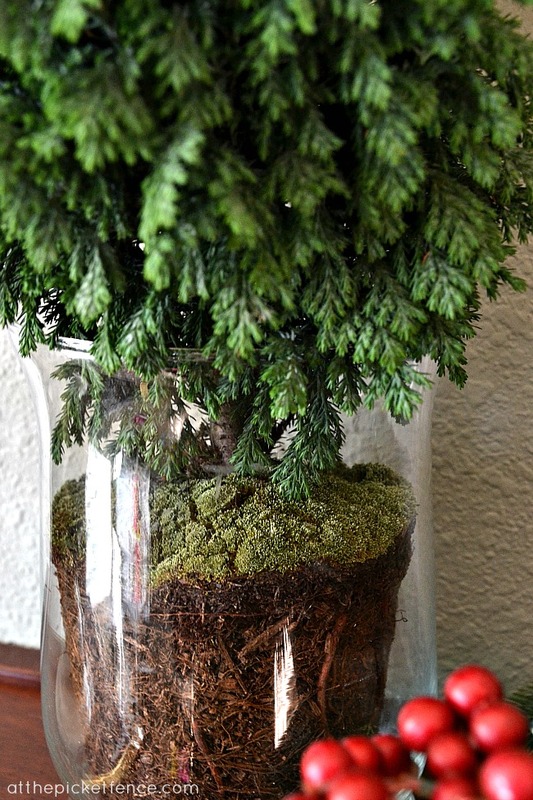 It was only after I had placed these fresh little trees in glass jars that I realized how symbolic it was to be able to see the soil and the roots. A reminder of being rooted in God’s love and the foundation that gives us. 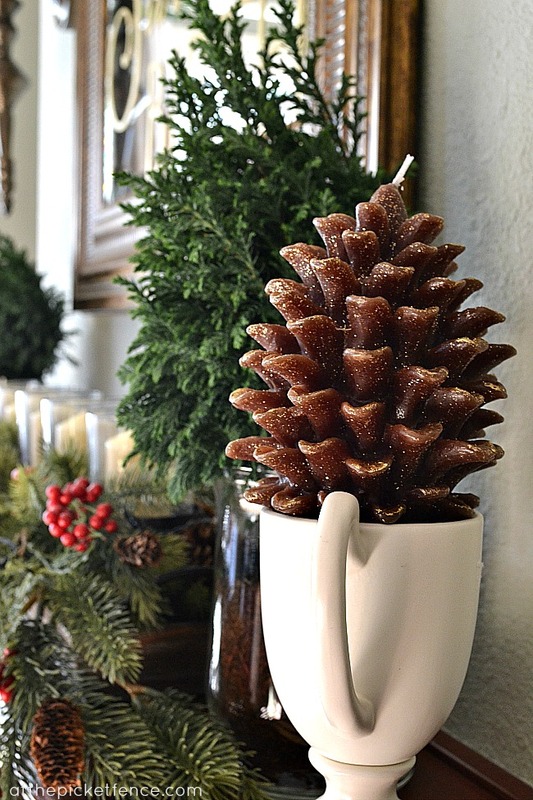 Glittery pine cone candles in trophy urns finish off the mantel. I’ve always thought that this should be called our “living room” instead of our “family room” since this is where we do most of our “living”. But, when I really stop and think about how often we gather here together as a family I think it’s name is the most fitting after all. We will be gathering here together a lot in these days leading up to Christmas. My children will race down the stairs early Christmas morning to find their stockings “magically” filled to the brim and I will see their eyes light up with joy. More than ever before, I will be aware of just how precious and fleeting this life is. I will know that there are parents who will be having a very different kind of Christmas morning. And, I will be praying for them to feel the comfort and healing that can only come from the One who arrived that Holy Night all those years ago. 25 Comments on "O Holy Night Mirror and Advent Mantel"
Thank you for sharing such a beautiful and uplifting message of HOPE! It has been a difficult week for so many and yet, one thing has not changed. God is love…He loves us and offers us hope for better things to come! 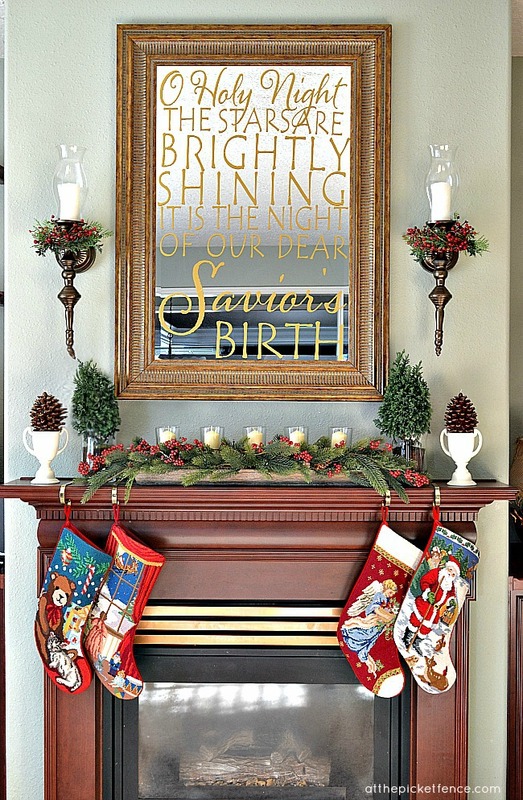 Lovely message, and what a great idea for an Advent mantel. Thanks for the inspiring message and for continuing to spread HIS light, even in darkness. What a beautiful, beautiful post! My heart is so heavy for those who have suffered unspeakeable tragedy. You have put into words what so many are feeling today. Beautiful post Vanessa. I love that you decided to share something beautiful and hope filled in the midst of great sorrow. That is what Advent is all about. Thank you for the reminder. 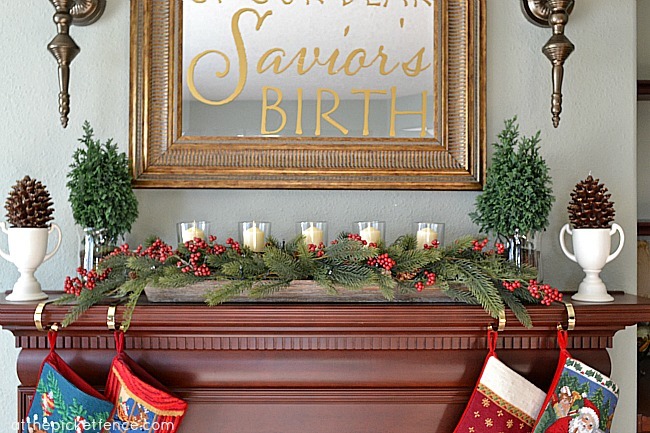 I absolutely love the idea of an advent mantel. And the Holy Night graphics added to the mirror is striking. The photography on this post is beautiful too. 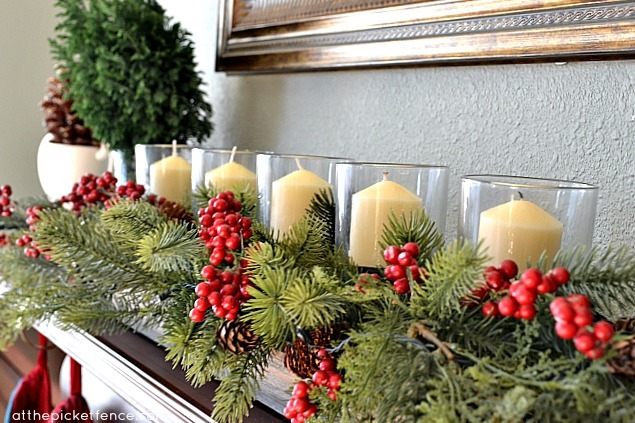 Your advent mantel is a wonderful idea. Gorgeous in it’s execution as well. I have contemplated the silent blog day. I understand the positive message of it yet can’t decide if being silent is what I feel called to do. Still pondering. Your mantel is beautiful and the meaning behind it even more special. Thanks for sharing! Vanessa, you were right to speak out with these beautiful words!!!! It is important to remember that only God can truly comfort us… and that Jesus is God’s physical comfort to all the world. Beautiful decoration… beautiful post!!! It’s just beautiful, Vanessa. Our hearts are all so heavy–yet the darkness around us does show us just how much we need the Light, doesn’t it? I do think it’s important to shine some light into the darkness that descended last Friday. We have to believe that there will be an end to this kind of horror. Just lovely the mantel and the mirror look spectacular. Very soulful and inspiring! Thank you! 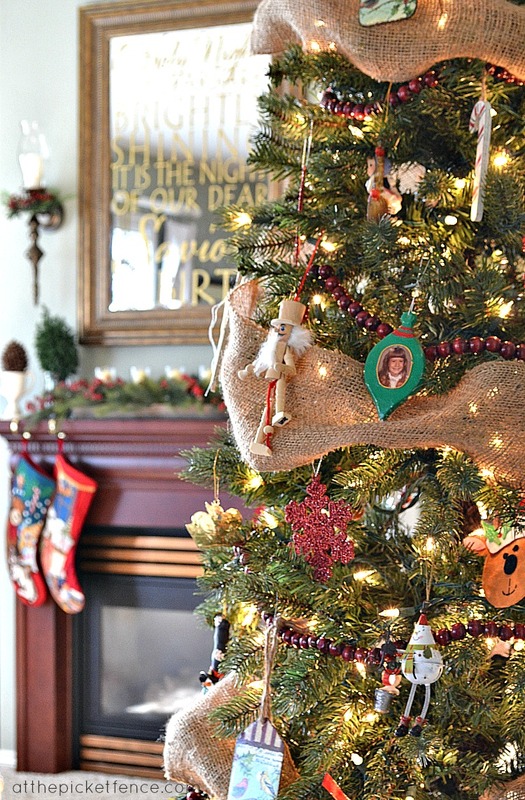 How lovely are your Christmas decorations! Truly beautiful. Your mantel and mirror are truly lovely, Vanessa, and your sweet, heartfelt message is beautiful! To shut down and turn inward to grief is a natural response, but does little to honor the spirits of those lost in the massacre a week ago. Your mirror and mantel speak to the eternal, hard to keep in mind sometimes, but oh, so important.